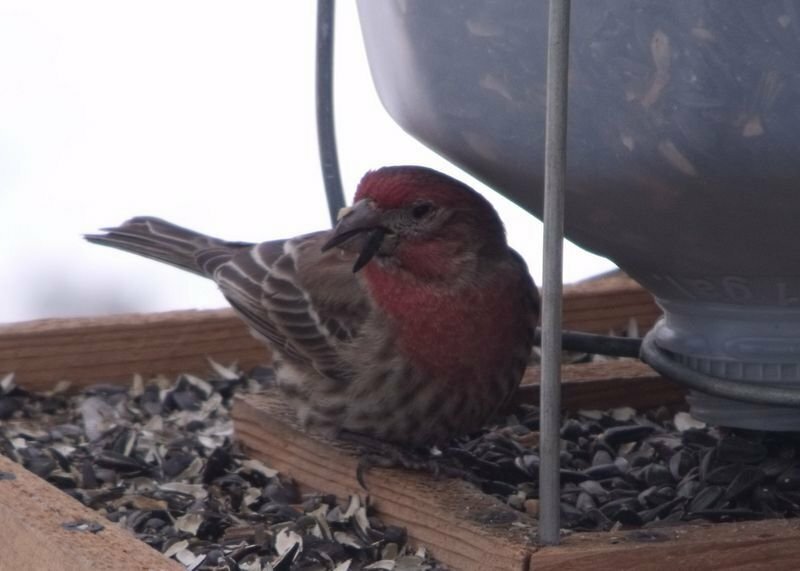 Photo courtesy of my brother David. 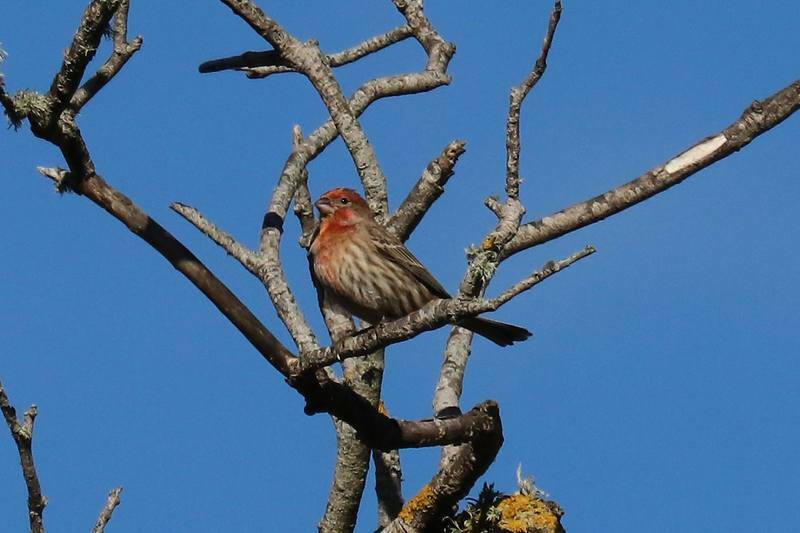 Taken in Martinez, Calif. 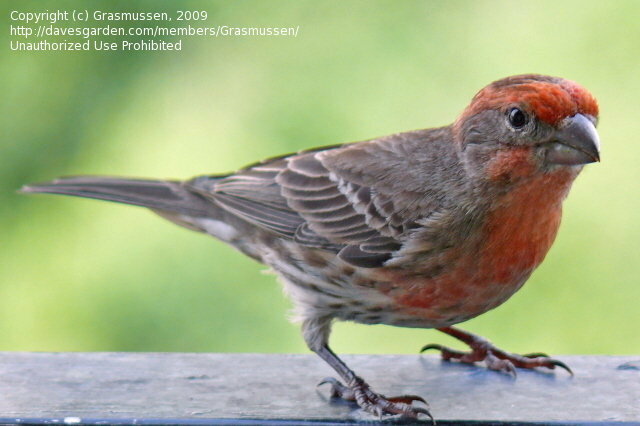 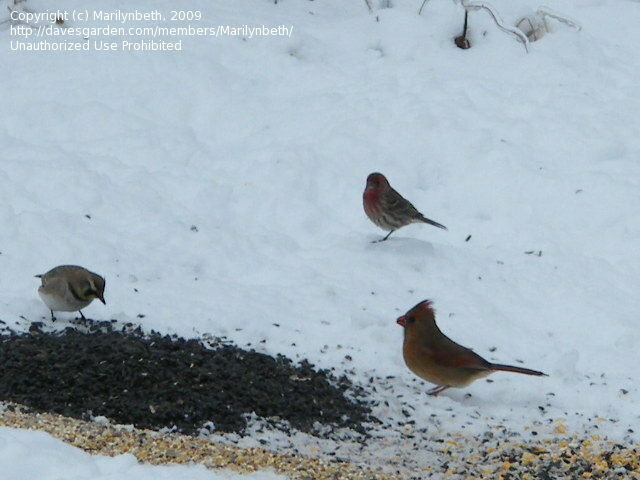 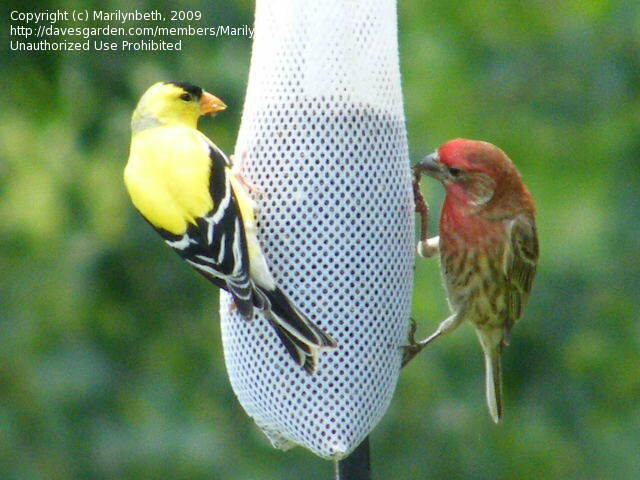 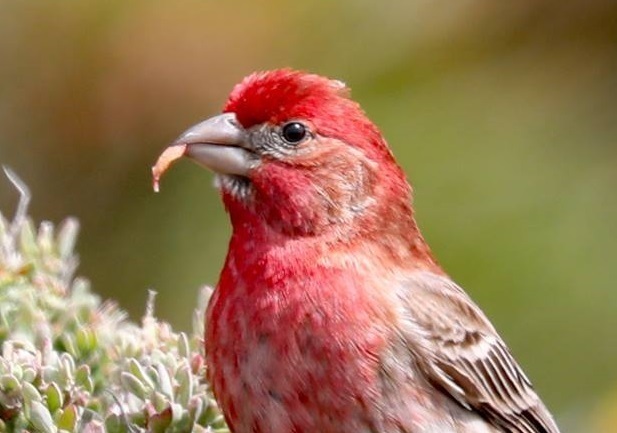 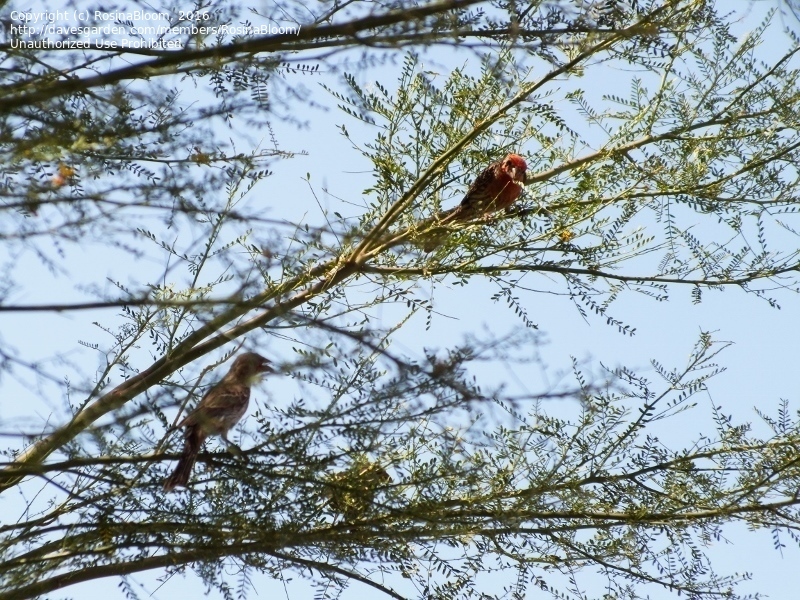 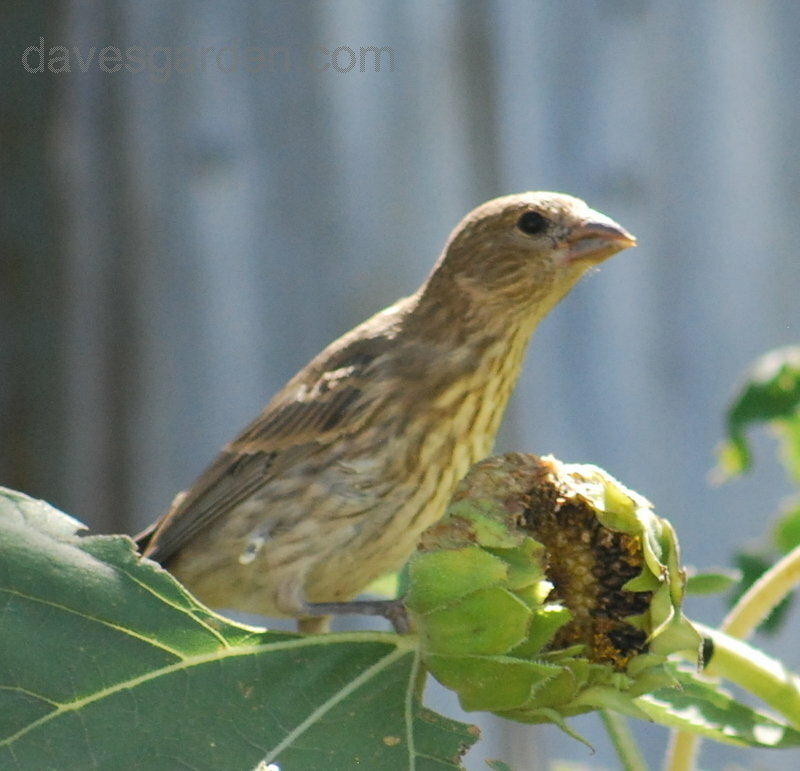 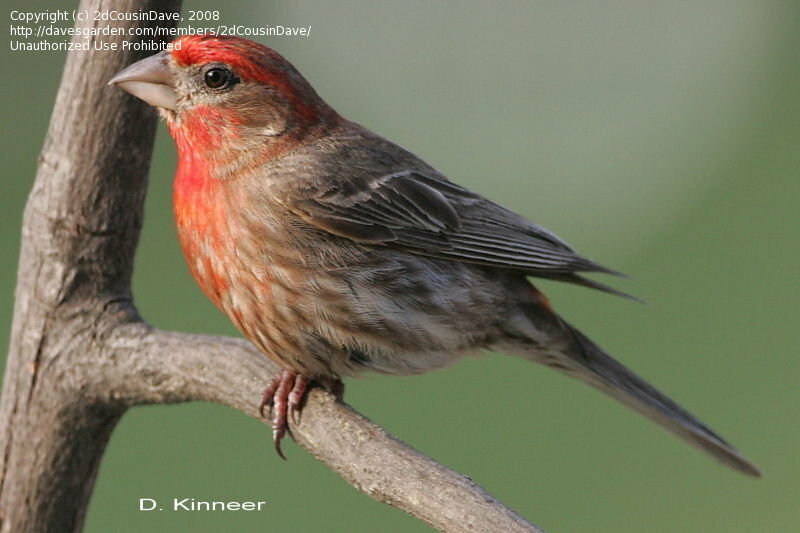 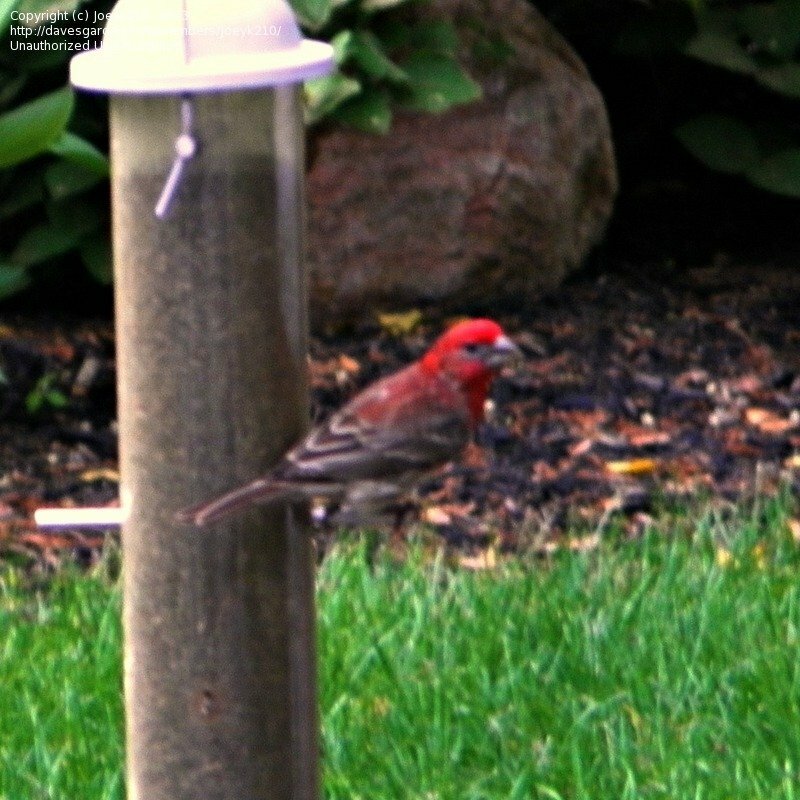 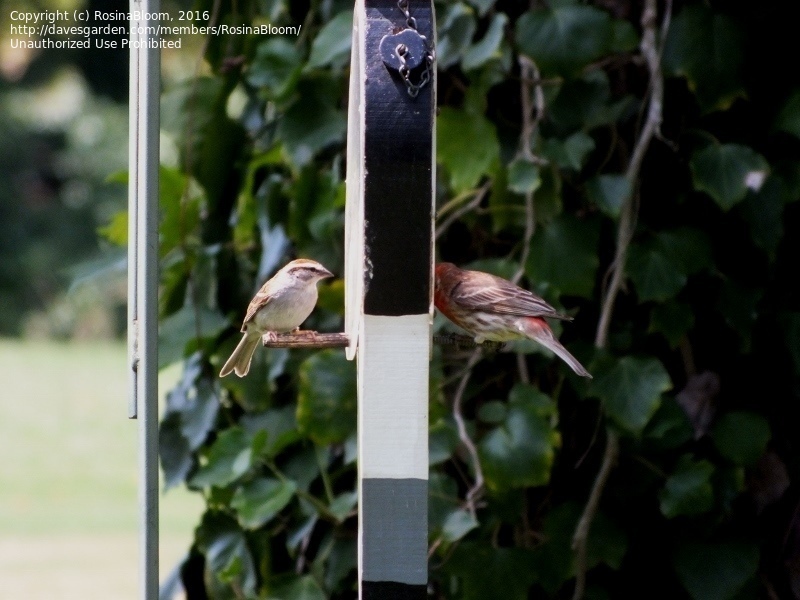 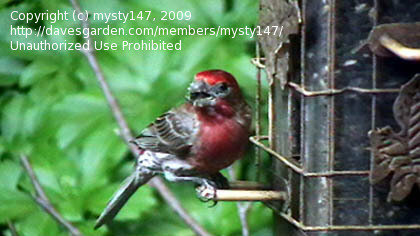 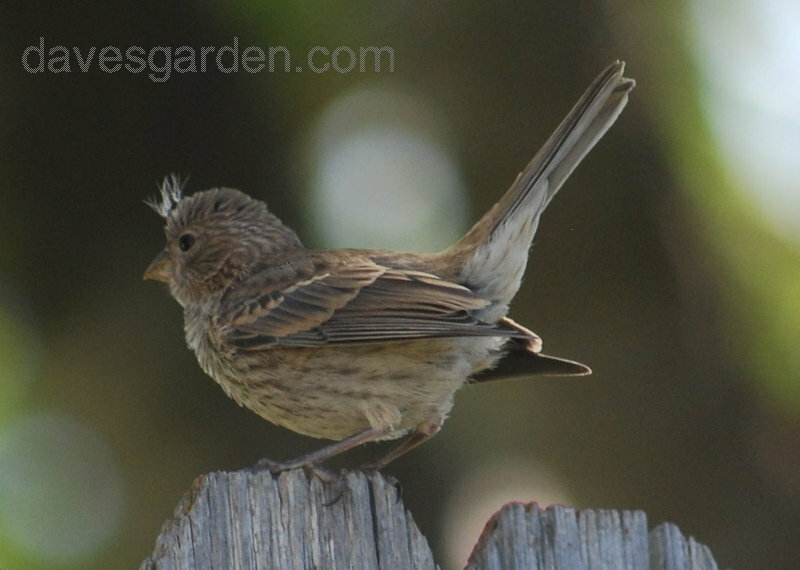 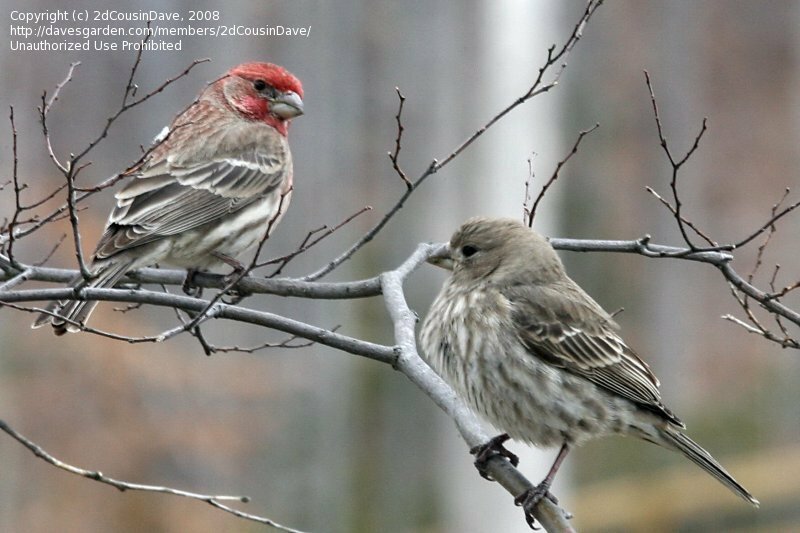 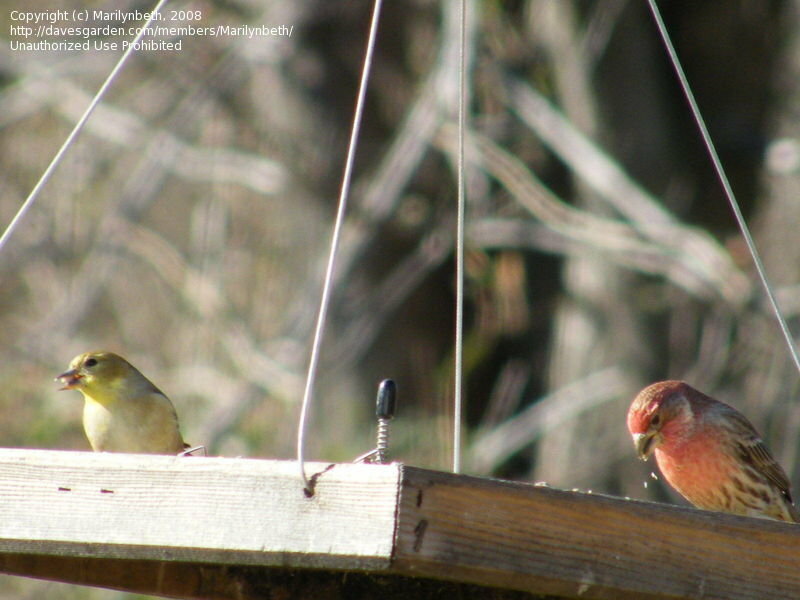 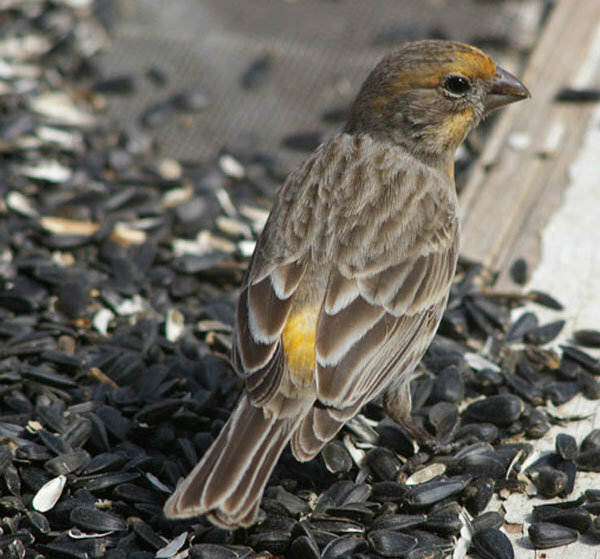 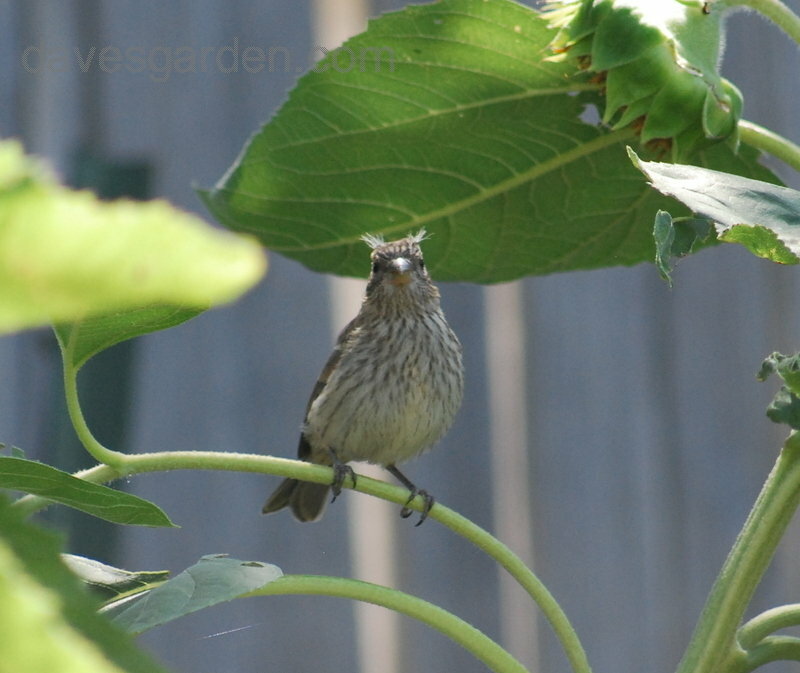 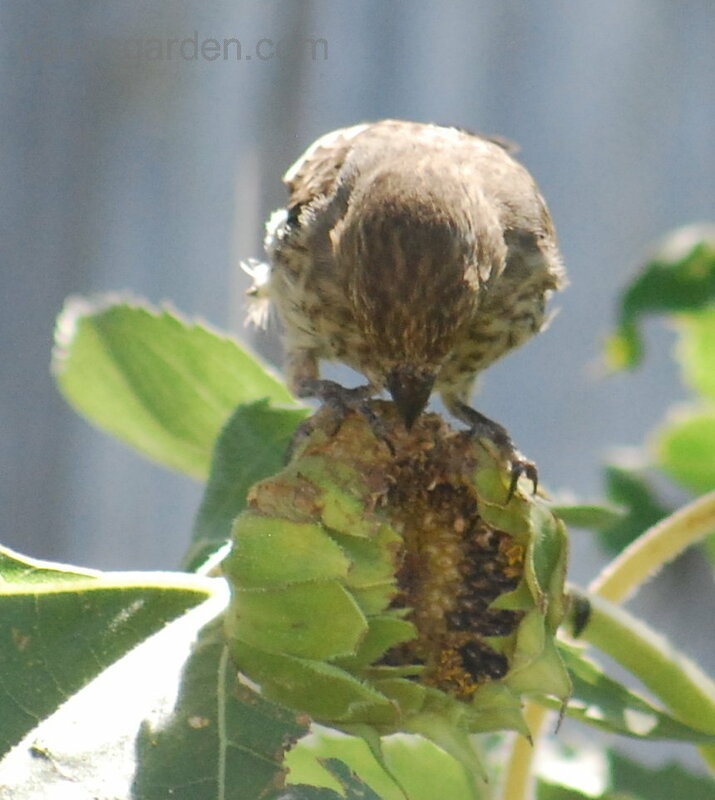 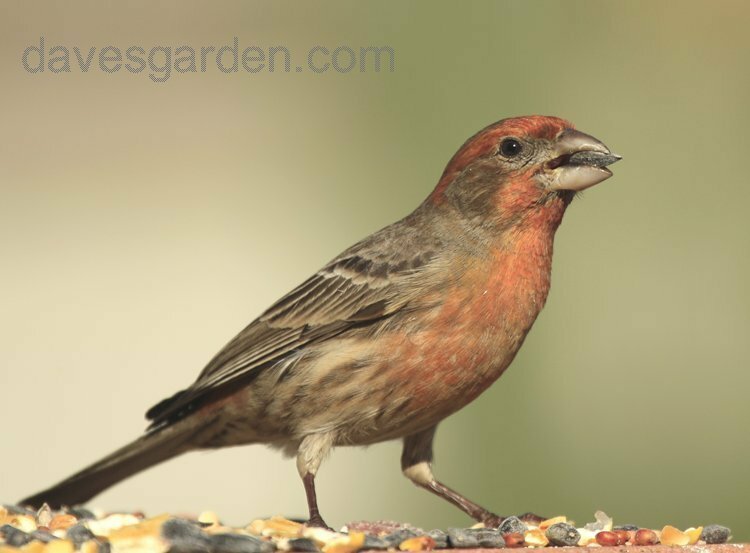 Male House Finch enjoying thistle seed with a male American Goldfinch in June 2008. 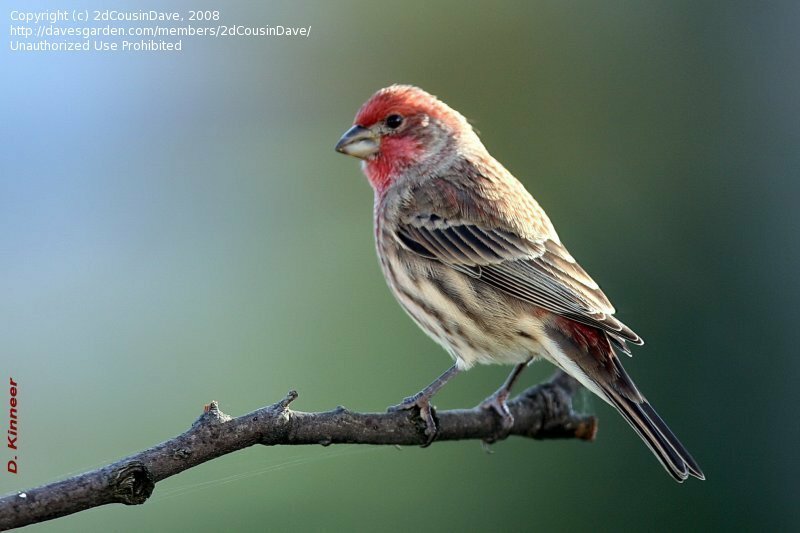 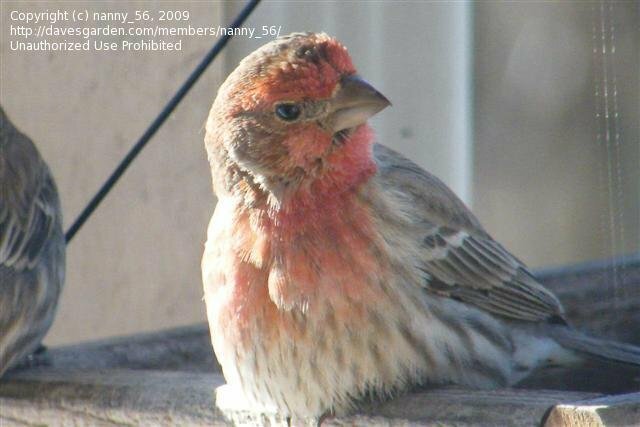 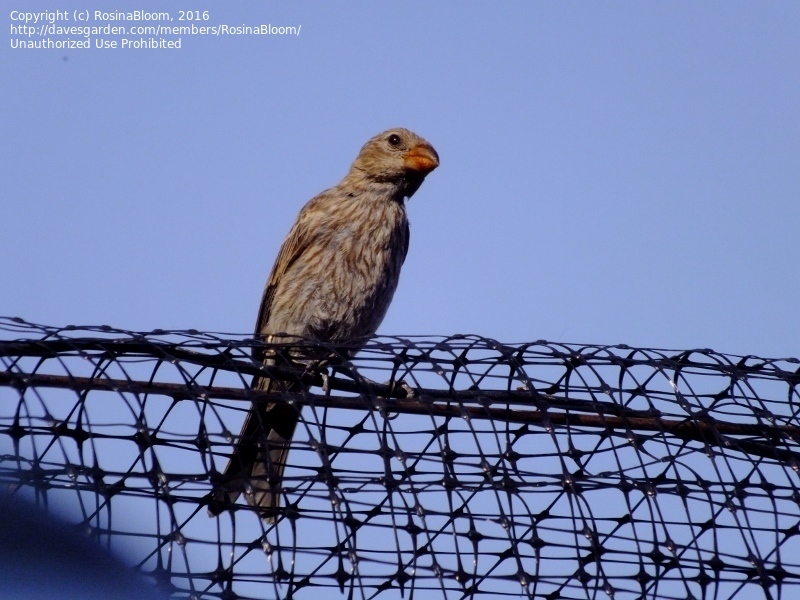 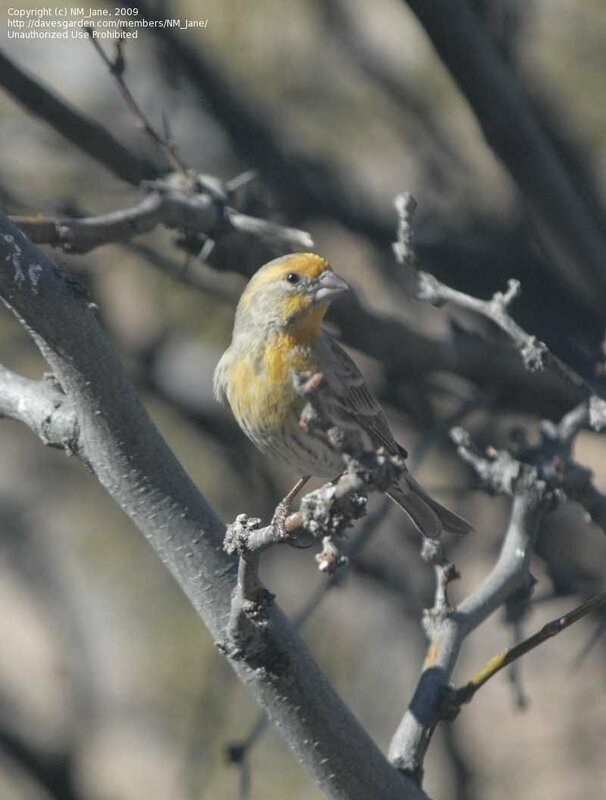 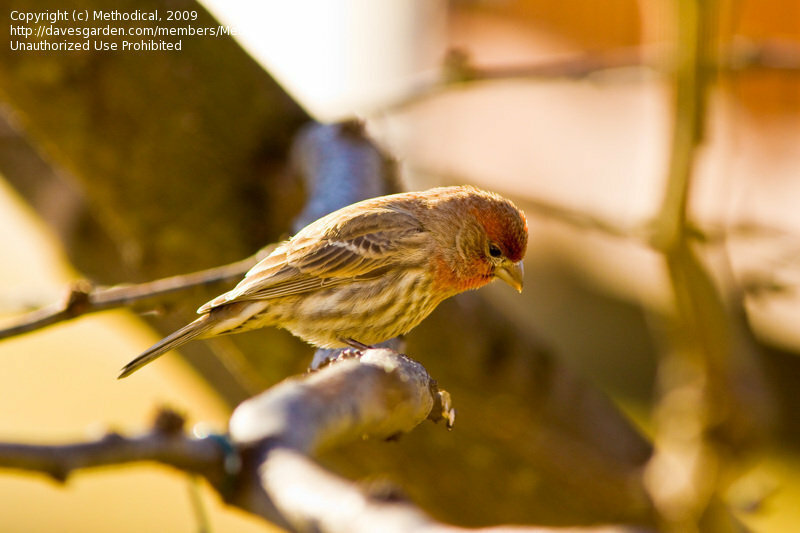 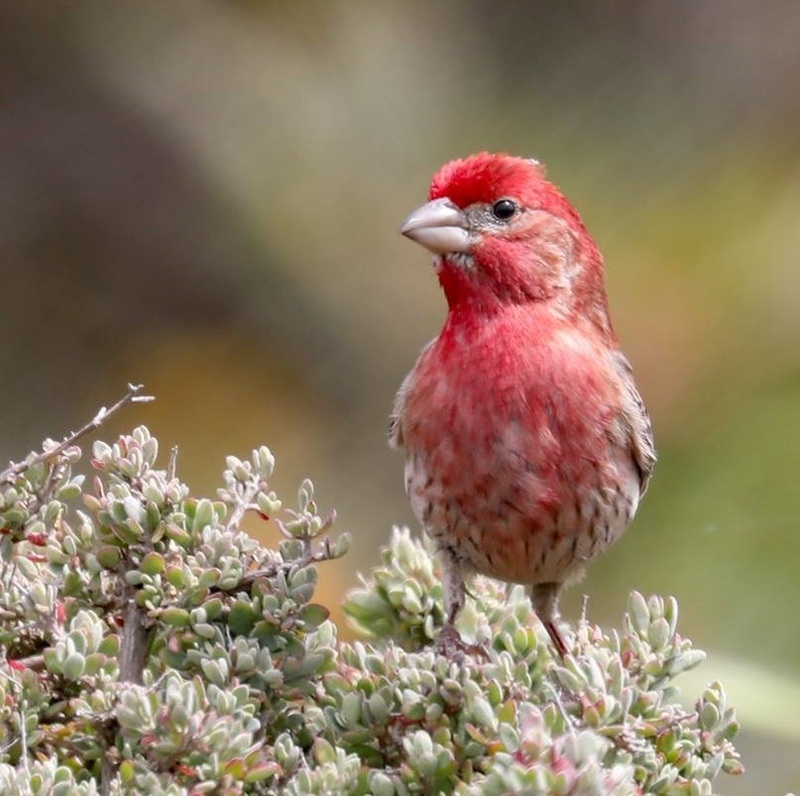 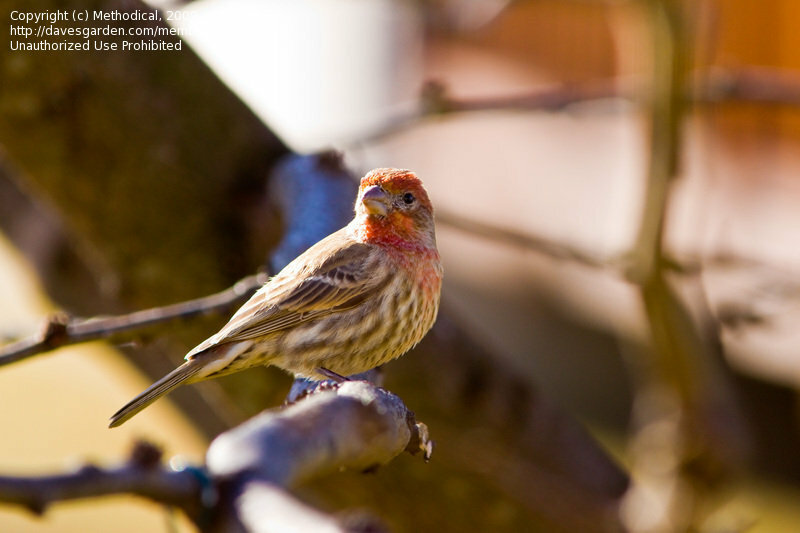 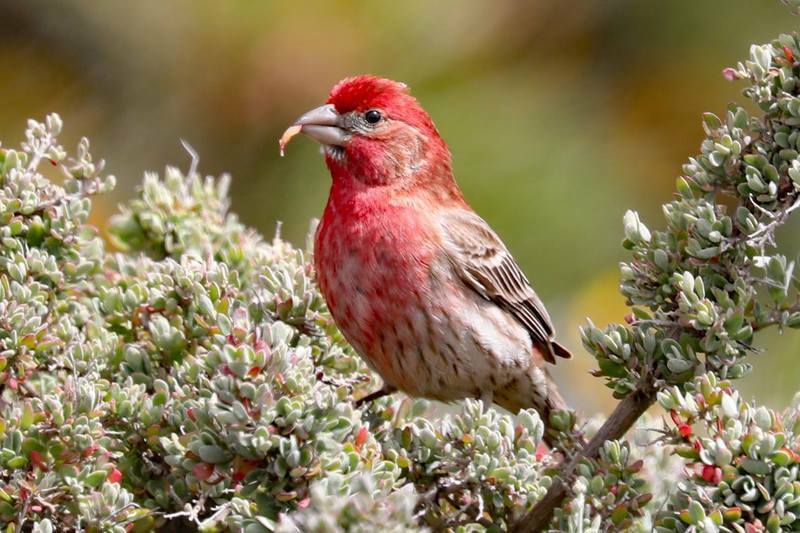 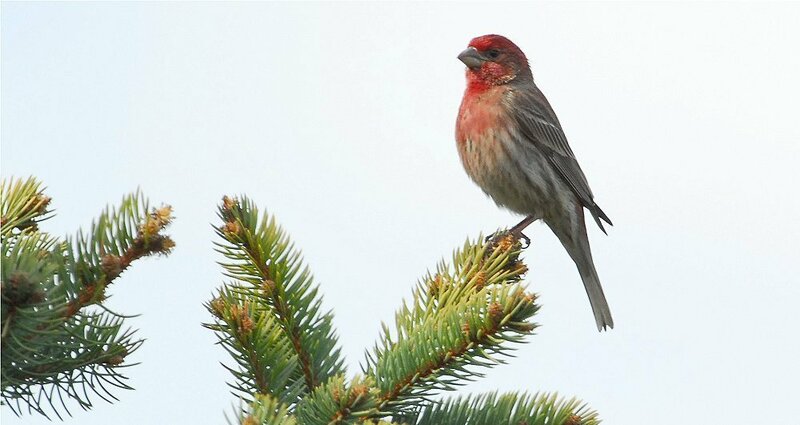 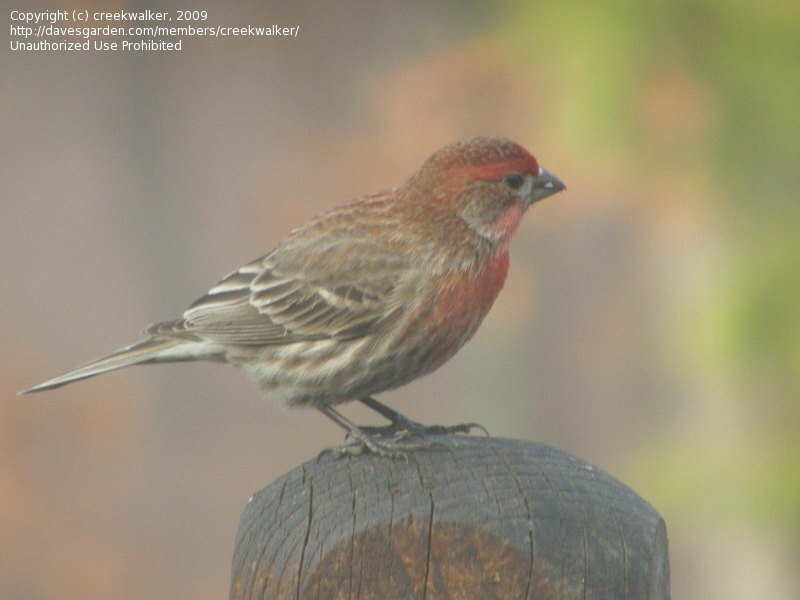 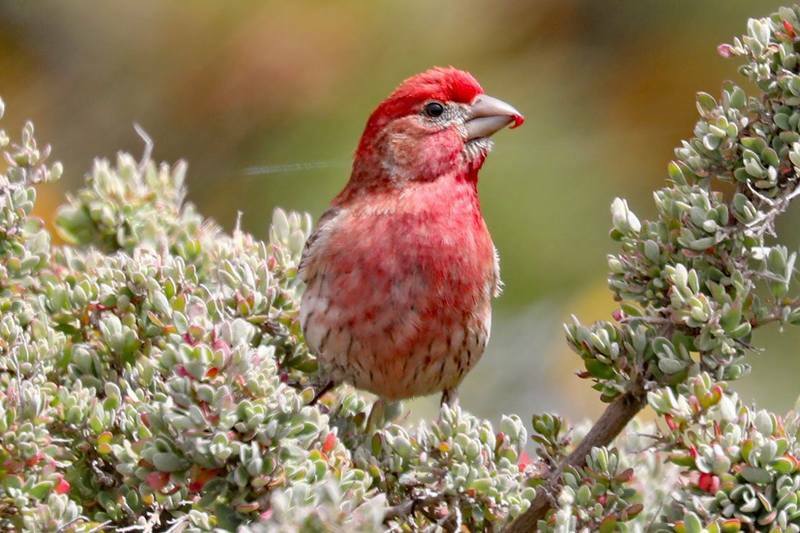 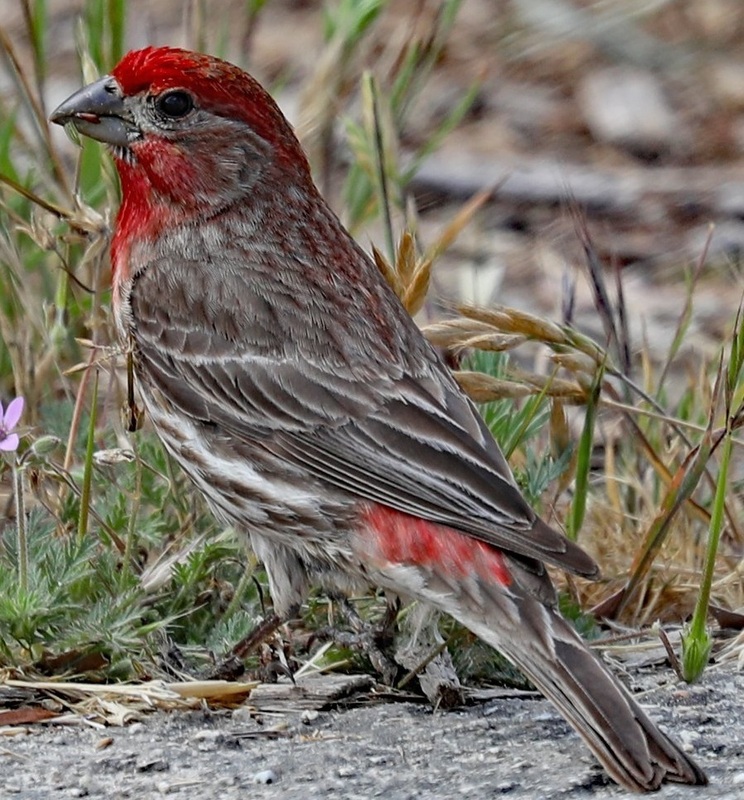 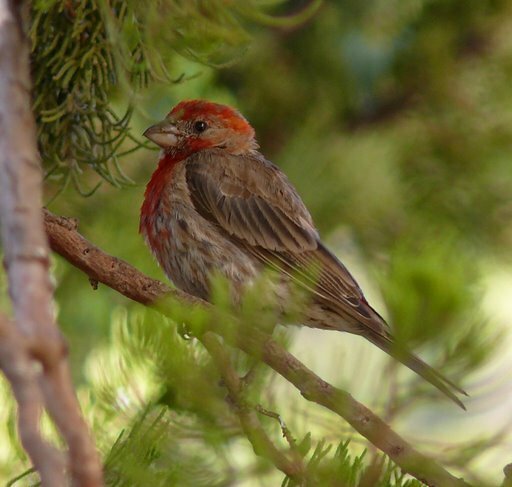 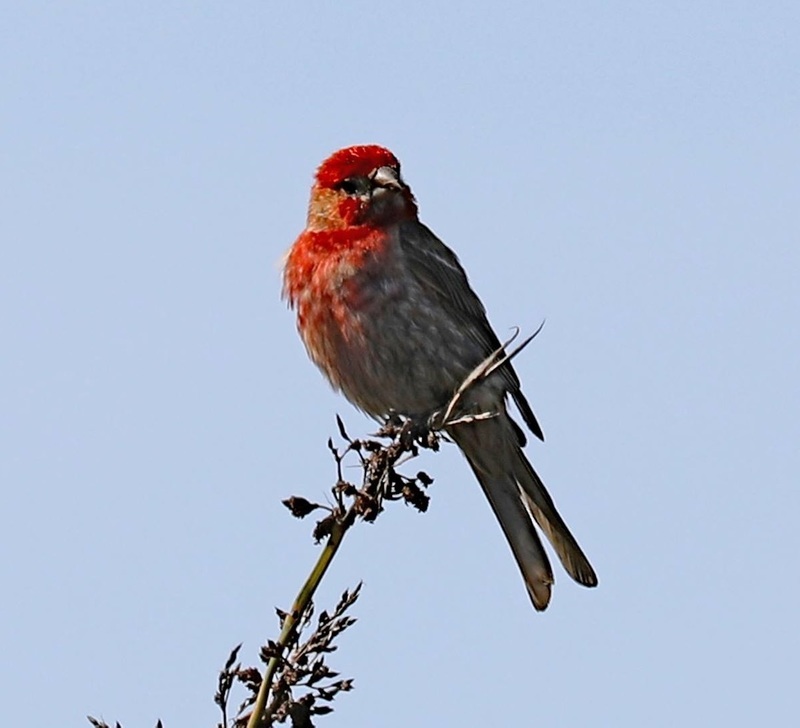 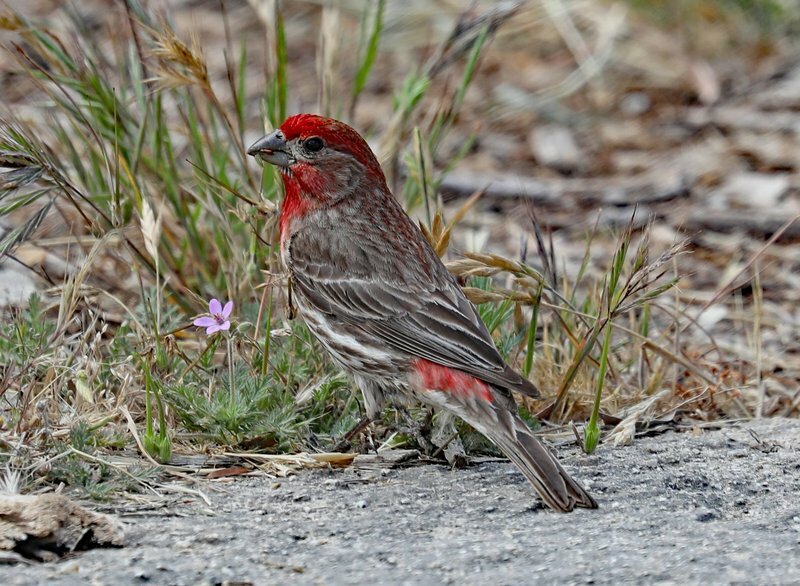 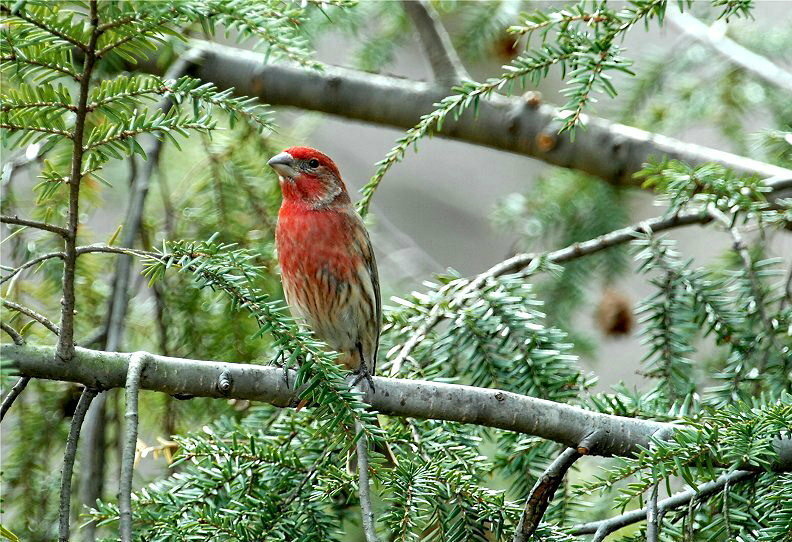 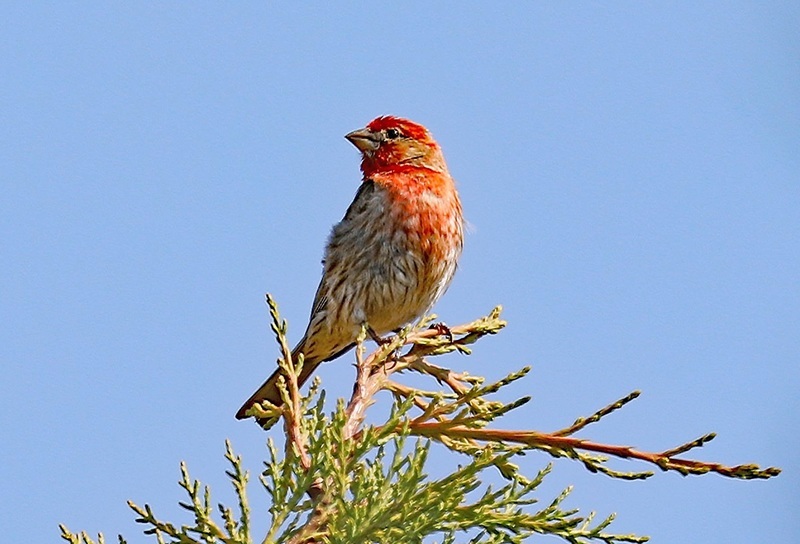 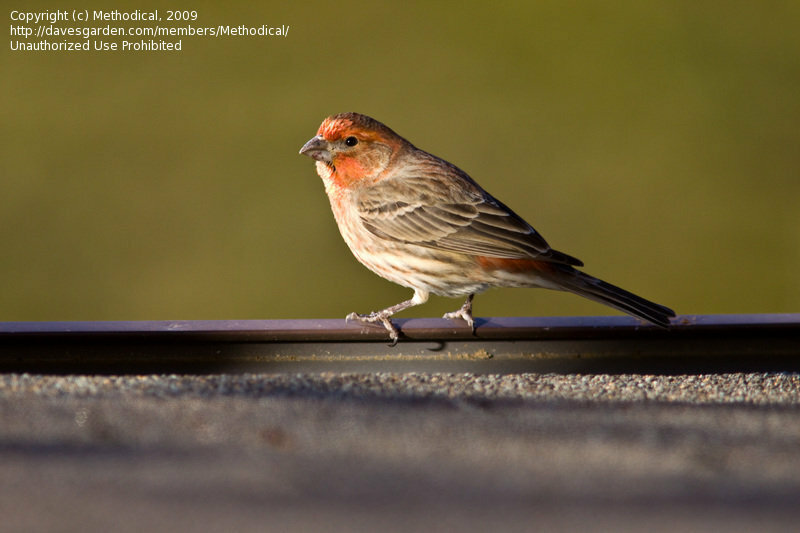 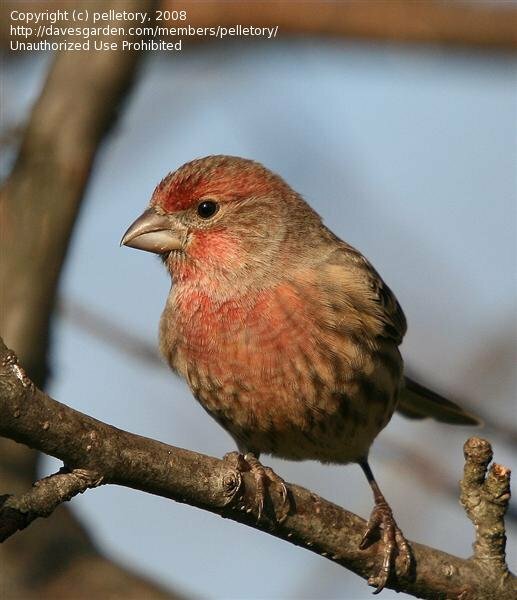 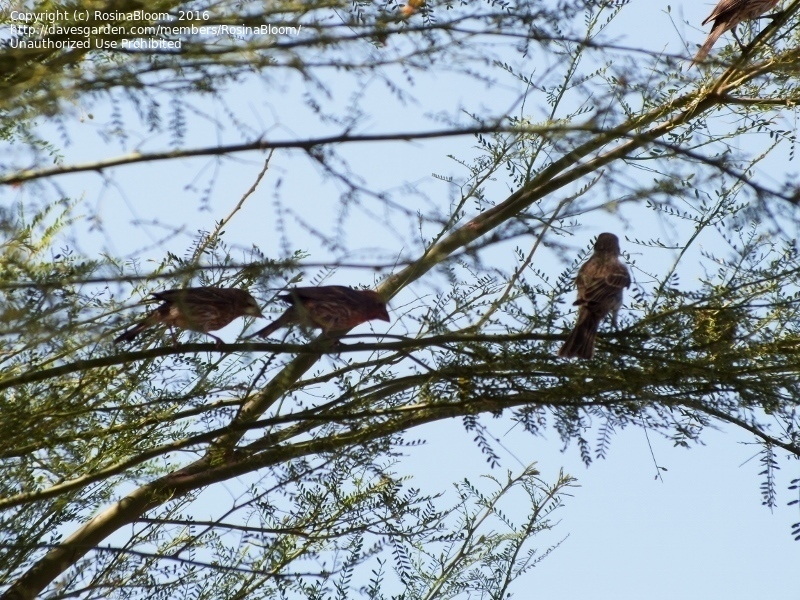 Male Housefinch (Carpodacus mexicanus) in full color. 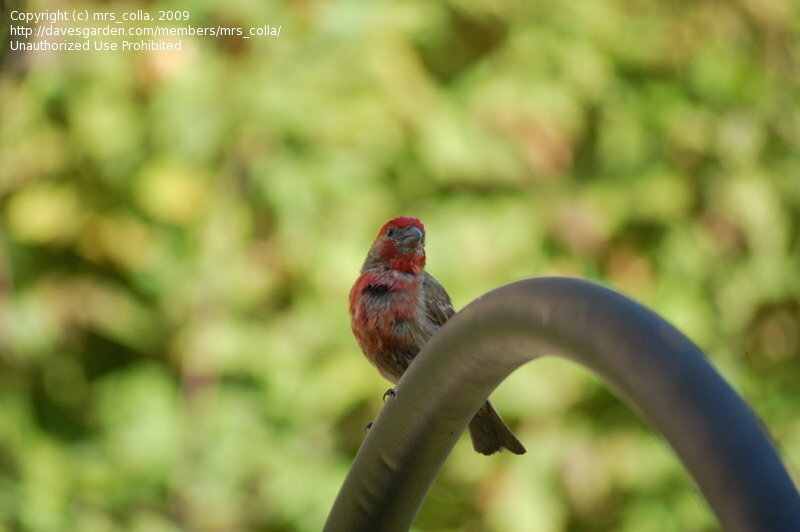 House Finch (Carpodacus mexicanus) male, photographed in Waikiki, Hawaii, 2/20/2009. 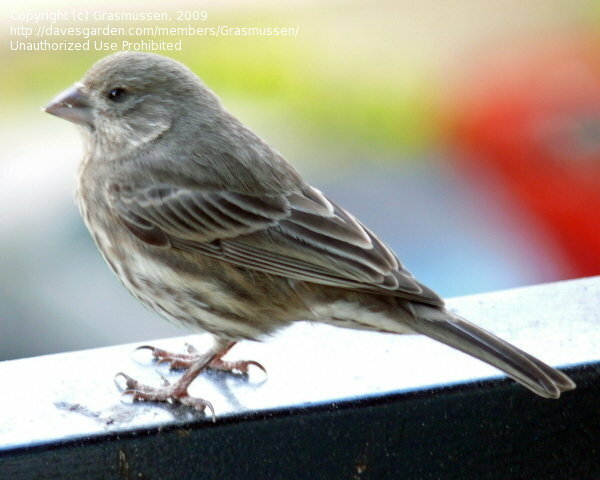 House Finch (Carpodacus mexicanus) female, photographed in Waikiki, Hawaii, 2/20/2009. 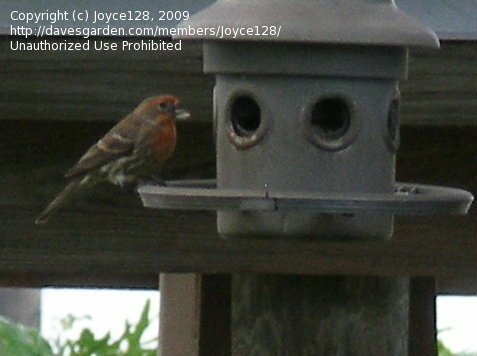 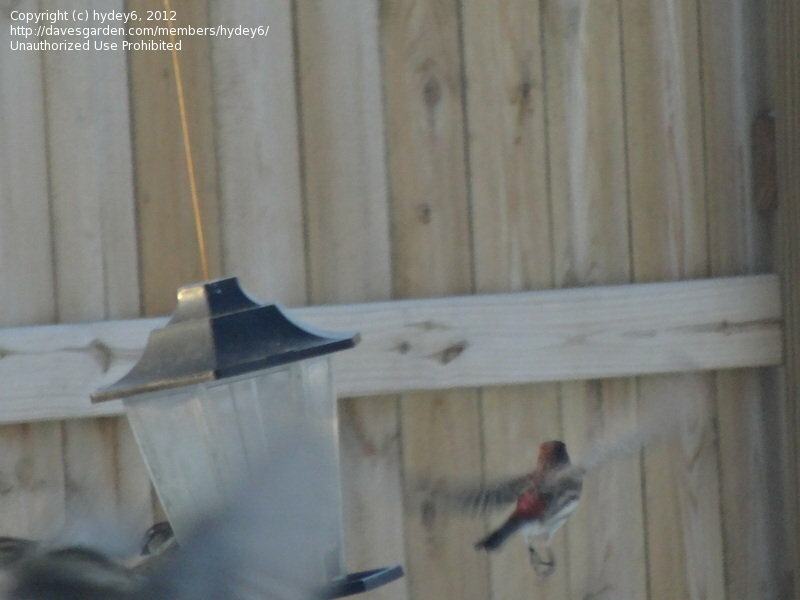 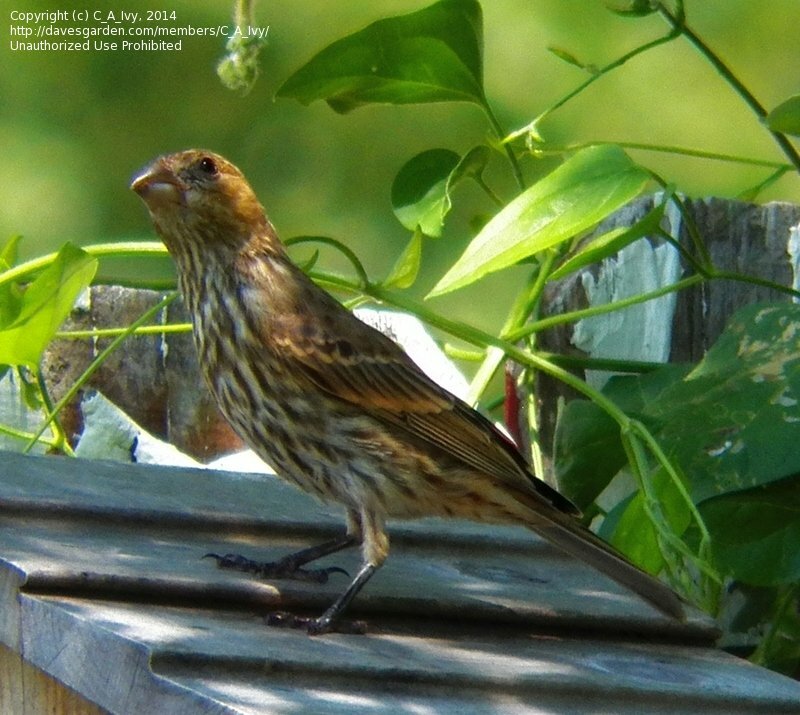 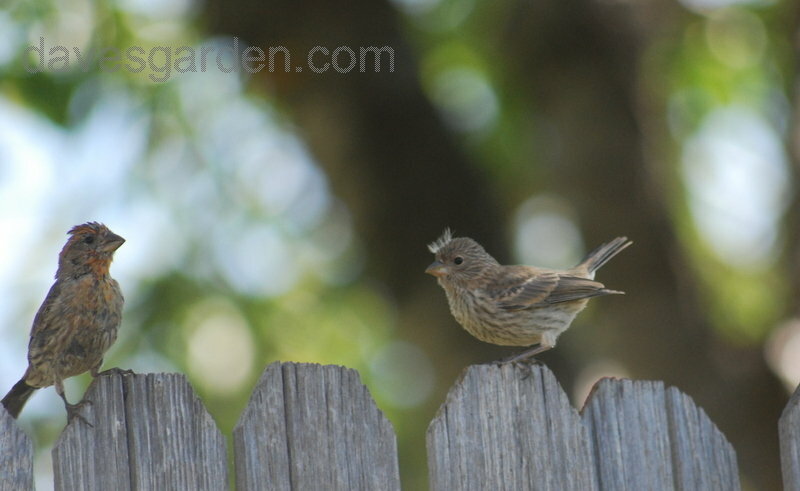 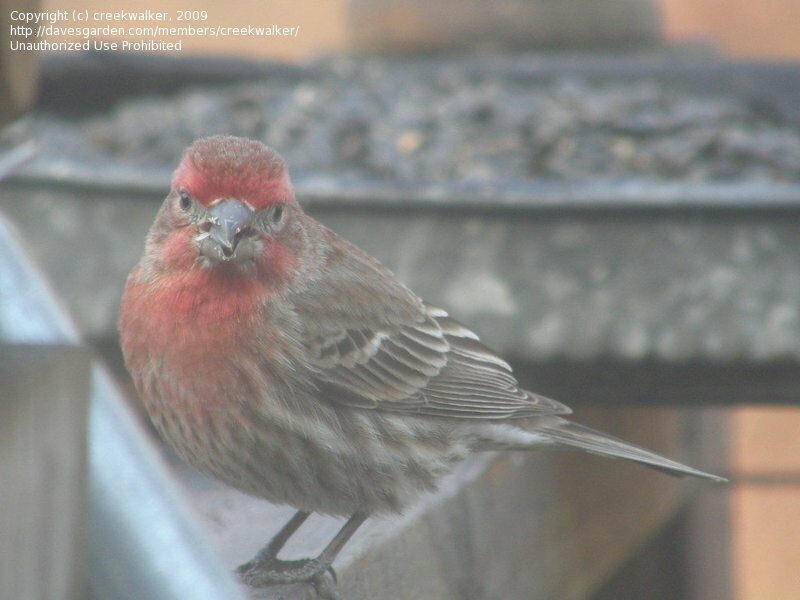 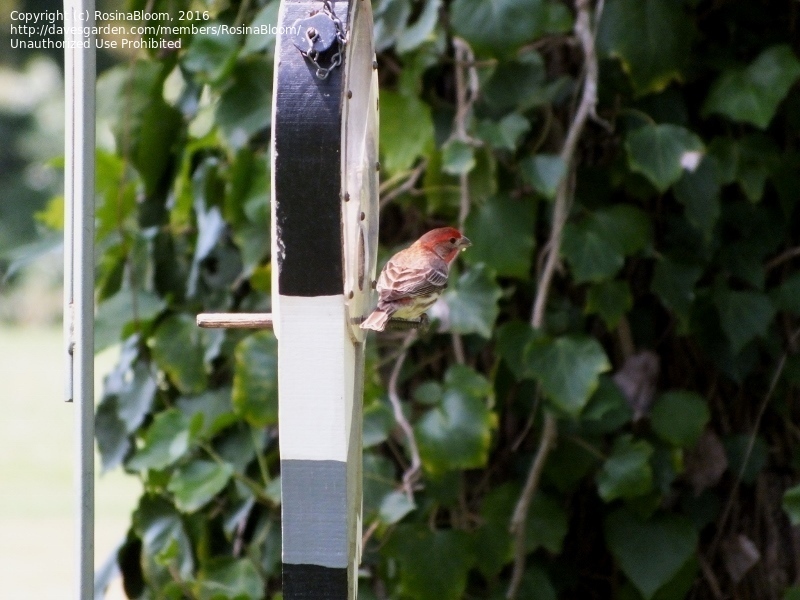 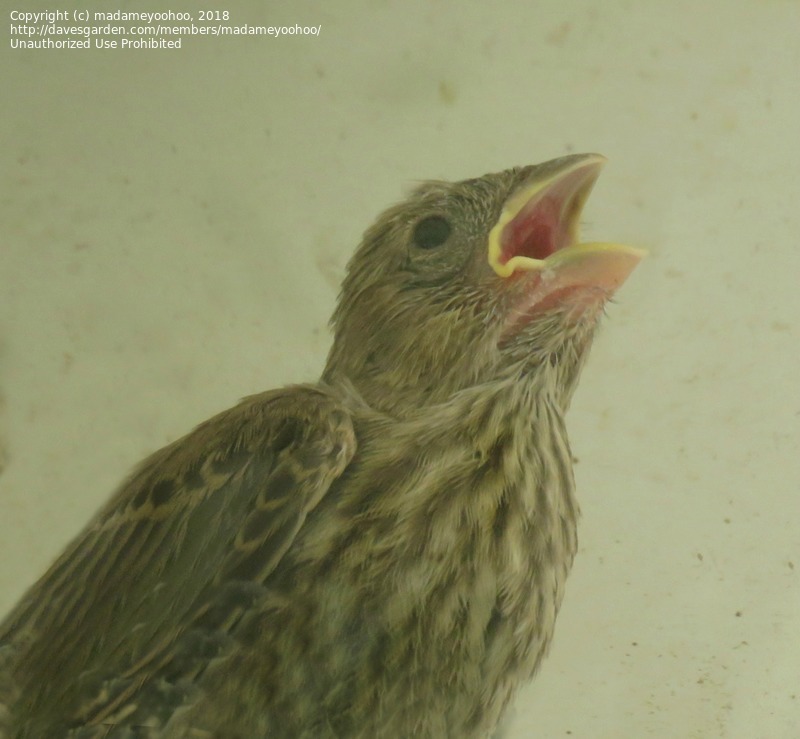 House finch visiting my feeder. 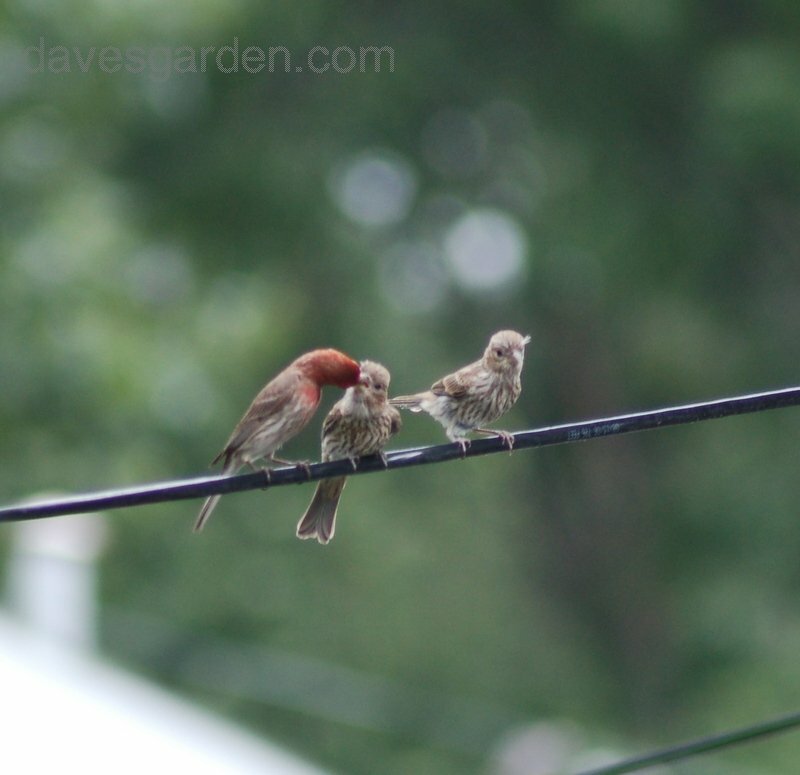 Repelling other birds from food source. 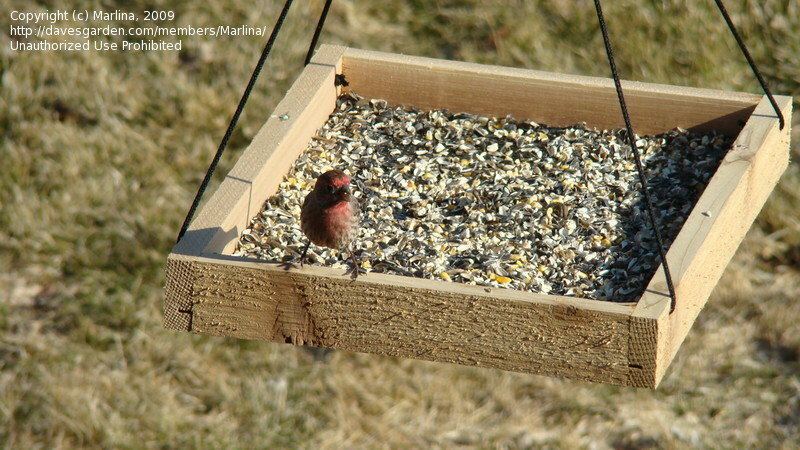 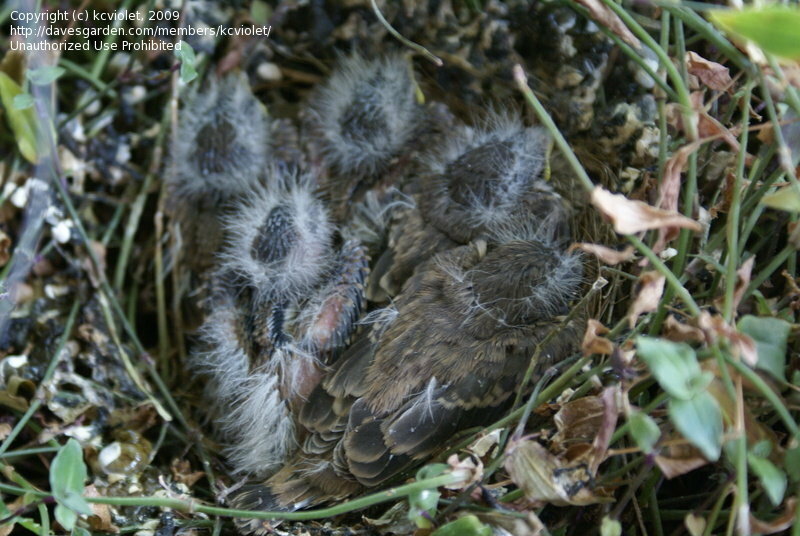 We have had quite a few of these on our feeders since the cold weather and snow arrived. 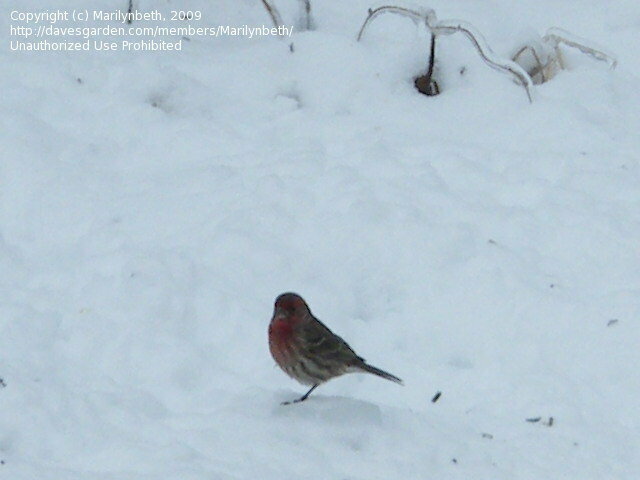 Fearless little bird but always on the move. 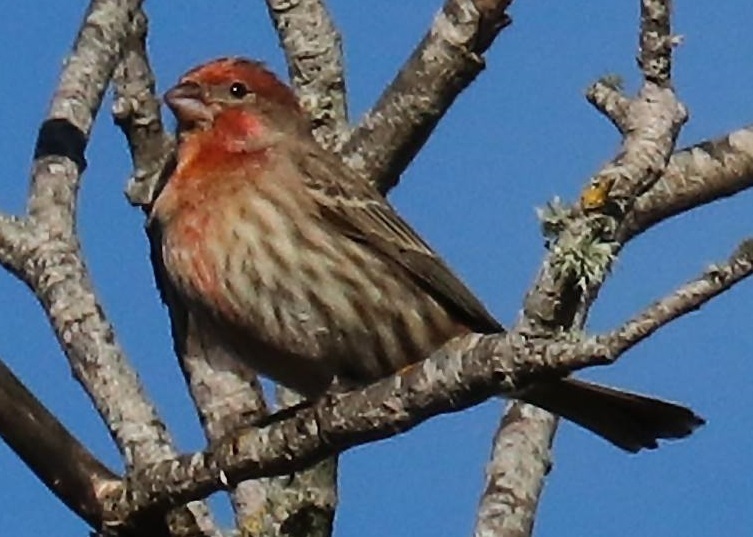 Santa Cruz, California. 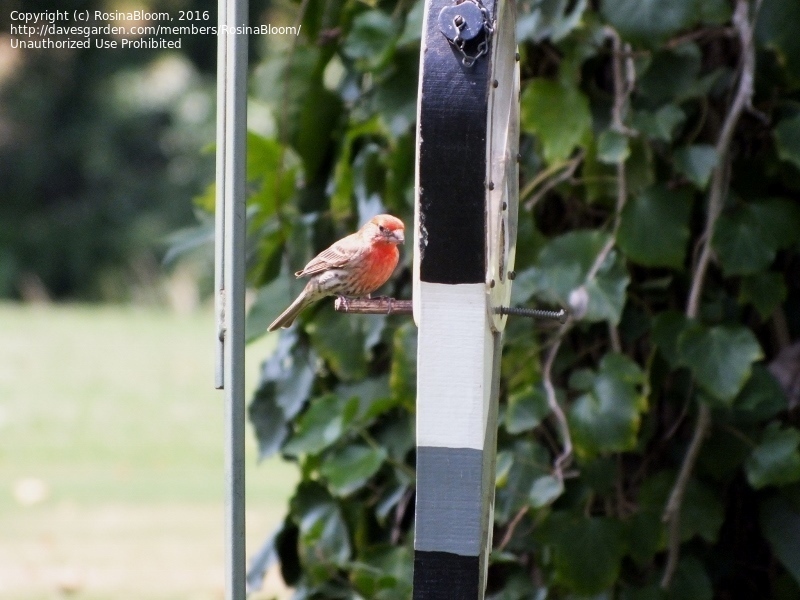 Photo courtesy of Ferd Bergholz. 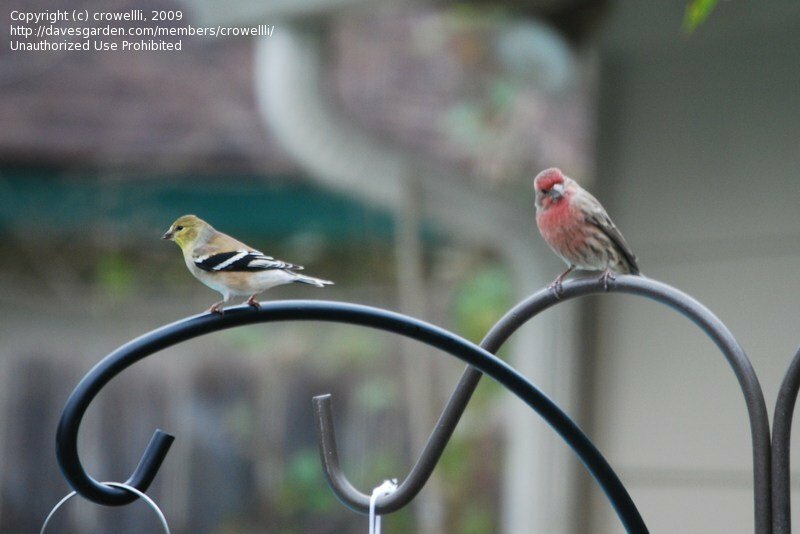 Copyright of Ferd Bergholz of Scotts Valley, California.